Mmm. 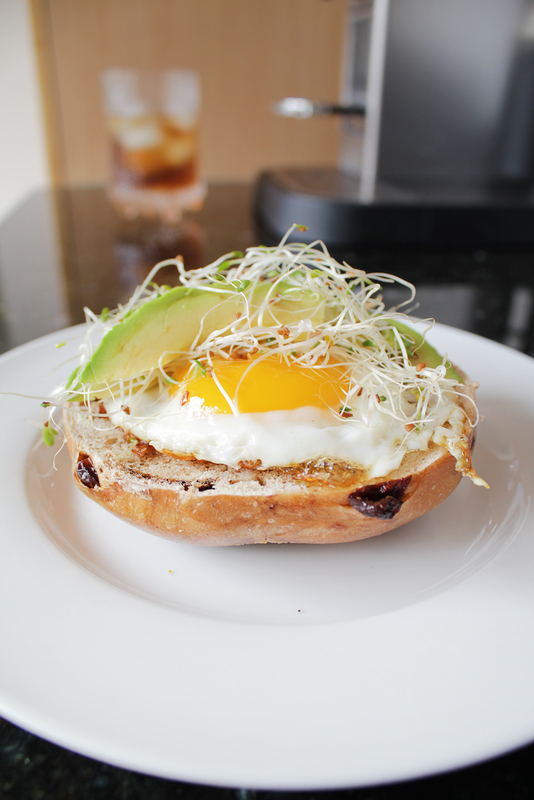 Avocado, alfafa sprouts, fried egg, toasted cinnamon-raisin bagel. I recently discovered my love of eggs over easy. Only too me 37 years to try an egg that was not scrambled or fried. I can only imagine the tastiness of pairing it with avocado! Delish! Jen is one lucky lady.